The Orthodox Childrens Illustrated Bible is a well-loved book in my home. It's cheap (so I have a lot of copies), well-illustrated (keeps the interest of children), and breaks up the text into bite-sized stories (that children can easily remember). 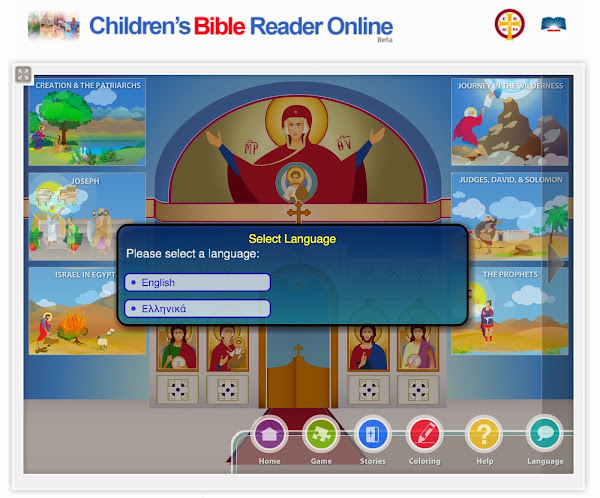 The Greek Archdiocese now brings that to your computer and also adds games and coloring pages. If they turned this into an app for iPads I can imagine it would go like hot cakes. You can navigate over to their site by going here or clicking on the below image.